We welcome your book donations at any branch. Are you a book buyer? Stop by the East Hills, Downtown or Washington Park branch to shop our ongoing book sales. Hardcover books are $2 and paperbacks are $1. The Vintage and Collectible Book Sale will be at the Downtown Library January 22 – February 2. The dates for the Annual Fall Book Sale are set! It will be October 17 – 21 at the East Hills Shopping Center. The Friend’s of the Library sponsor monthly book clubs at 3 branches. – Jenny Ellis, of the Carnegie Library, hosts the Book Lovers Anonymous Book Club at the Tiger’s Den at 4:00 p.m. on one Saturday each month. Contact Jenny at 238-0526 for more information. 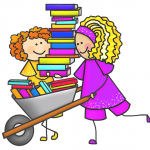 – The East Hills Library club normally normally meets on the 4th Wednesday of each month at 10:00 a.m. Contact Shirley at 236-2136 if you are interested in joining. – The Downtown book club normally meets on the 4th Monday of each month at 7:00 p.m. Contact Mary Beth at 232-7729 if you are interested in joining. The Friends of the St. Joseph Public Library is a non-profit 501c3 organization with a mission to support the St. Joseph Public Library. FSJPL focuses public attention on library services and programs, raises funds, and acts as an advocate for libraries and literacy in our community. FSJPL underwrites the library’s Summer Reading Program. This valuable program keeps children, teens and adults learning and engaged throughout the Summer. • Sponsors book clubs and buys book club book sets to be checked out. Only through your membership dues and funds received from used book sales is FSJPL able to fulfill our mission. As a member of FSJPL, you also have the opportunity to volunteer your time at the annual used book sale in the Fall. Those who are interested can also volunteer to sort book donations throughout the year in preparation for the big sale. Please call (816) 236-2107 if you are interested in learning more about volunteer opportunities. 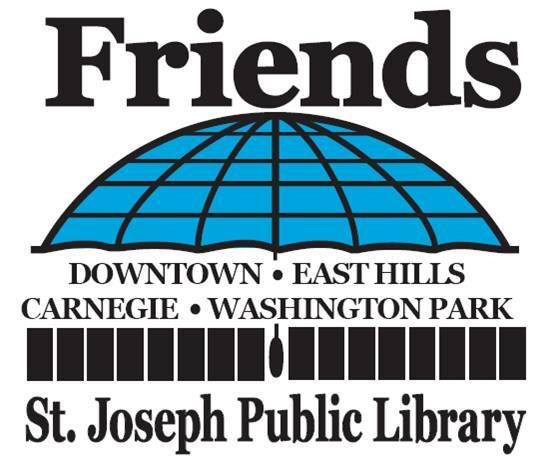 It’s easy to join the Friends of the St. Joseph Public Library. Simply visit any library or call (816) 232-7729 and ask for a membership form. If you prefer, you can charge your membership dues and additional donations via PayPal.